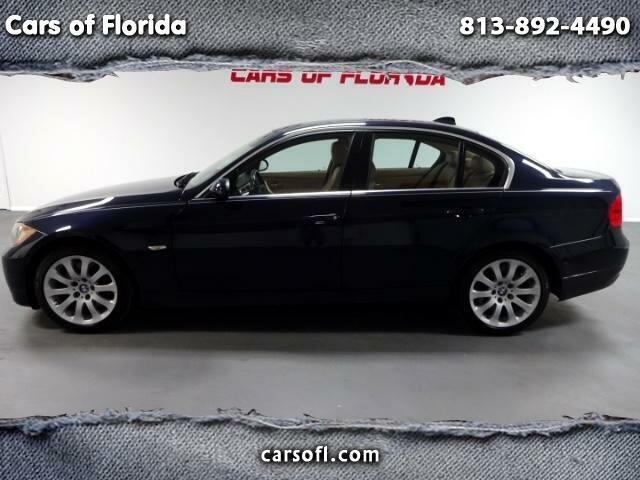 Cars of Florida is proud to announce this 2008 BMW 335i with 124,000 miles. This vehicle reveals a clean Carfax with no accidents and an exceptional service history. Needs nothing, new radiator replacement completed. Xenon headlamps, sunroof, Keyless entry and Engine/Start stop button. Loaded with goodies. Must see to believe! Twin turbo engine acceleration can not be matched in any other German vehicle. Exterior and interior on this vehicle are impeccable as well. All of our vehicles come with a top of the line reconditioning detail wax and vacuum followed by shampoo. Our top priority is your satisfaction. Visit our all indoor showroom today at 1136 E. Fletcher Avenue Tampa, FL 33612. Guaranteed financing. In house owner financing approval options and third party financing options available. Third party warranty options available as well with bumper to bumper coverage!